A complex of ancient ruins located over 2.300 meters high on top of a steep mountain the Peruvian Andes. Machu Picchu is one of the World's top mystery sites. A complex of ancient ruins located over 2.300 meters high on top of a steep mountain the Peruvian Andes. 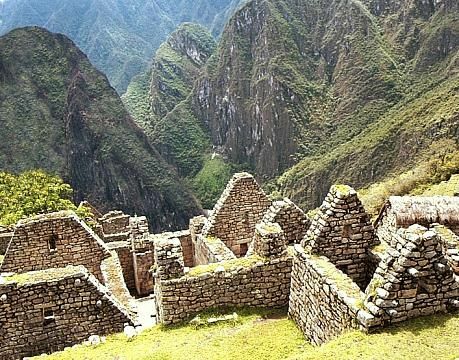 Built by Incas, the hidden city of Machu Picchu was never discovered by the Spanish conquistadores, which have raided the whole Inca Empire, inflicting massive damage on the indigenous Andean culture. This city remained hidden from human eyes until American historian, Hiram Bingham accidentally came across it in 1911. Today, almost fully preserved, this lost city of the Incas remains the most important heritage left to us by the Inca civilization. Unlike other cities, structures, which have been crushed by the Spanish army, hundreds of years ago, the of Machu Picchu has survived and vividly reflects today, how technically evolved the Incas really were. Machu Picchu was built by great specialists, experienced constructors with high levels of knowledge. Unique and evolved technology was used to build a complex of hundreds buildings on top of a high mountain, with an irrigation system that still functions today, its astronomic observatories and other wonders. Most of the planning and construction techniques still remain a mystery to us. The city, deep in the Urubamba Jungle, high in the Andes is a unique treasure of our planet. Today, it has been well restored and can be visited by anyone, offering a dreamlike beautiful view. Almost half a million tourists visit Machu Picchu each year, meaning that it's not as remote as it once was... You too can travel there and explore!. The buildings, the irrigation system, the terraces, the stones (especially the famous Intihuatana stone) all have their secrets waiting to be revealed. Part of the construction techniques used to build the city have been discovered. However, many important aspects still remain unknown, for instance: how the massive stone blocks were cut and raised to be put in place to form well designed structures (mainly walls and houses). About the construction and the various structures, stone objects that exist in and around the ancient city, you can read on our "Construction Of Machu Picchu" section. 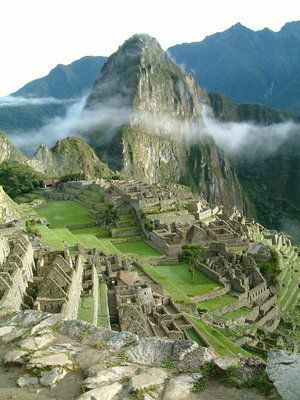 Visit Machu Picchu, plan your trip with our help! It can be very easy, you'll important information and advice under our "Getting there" section. All info is free and easy to access! You'll never find better resources for Machu Picchu & Peru travel planning than those here! 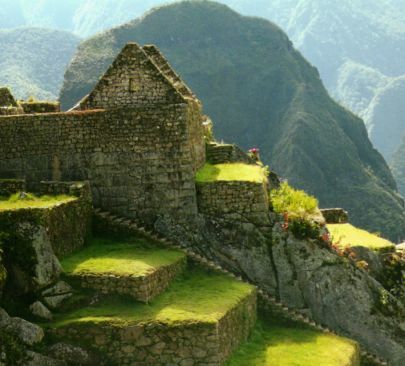 Simply check our getting there section and find out more about how you can travel to Peru and reach the ruins. Also gather important information about the region under the "Peru & the Andes" section. There you'll find details of just about anything that's in and around Peru. Find out about languages, culture, demographic data, economy, obtain useful travel advices, attractions (others than Machu Picchu) and much more! Peru is incredibly rich in natural and human-built attractions. The "Lost City Of The Incas" is just one of the many interesting attractions across Peru that are worth visiting. The Urubamba Valley, also referred to as "The Sacred Valley Of The Incas" has towns, villages scattered in and around it, worth visiting for the foreign tourist! Among the towns, villages that are often visited by travelers, are: Ollantaytambo, Cusco, Yucay, Pisac, Urubamba. Machu Picchu is a "must see" in Peru, but there are dozens of other locations that'll astonish you. Among them, you'll find the Nazca lines, the Titicaca Lake, the capital Lima, the city of Cusco, the ruins if Ollantaytambo and Vilcabamba and many other destinations! The Incas were South America's largest civilization, before the Spanish conquest. Even though the Spanish army has erased most of what the Incas have constructed, ruins and intact buildings still exist, reflecting the high degree of knowledge that this ancient civilization has had. The Incas did not write. Yet, their colourful legends, myths are still alive and much of their infrastructure (like the Inca Trail), the Inca agricultural terraces and irrigation system still exist today. Remarkably, many watering systems are still functioning today! Under our Inca civilization section, you can find articles covering a wide variety of heritage and culture-related issues. "Machu Picchu es un viaje a la serenidad del alma, a la eterna fusión con el cosmos, allí sentimos nuestra fragilidad. Es una de las maravillas más grandes de Sudamérica. Un reposar de mariposas en el epicentro del gran círculo de la vida. Otro milagro más." "Machu Picchu is a trip to the serenity of the soul, to eternal fusion with the cosmos, there we feel our own fragility. It is one of the greatest marvels of South America. A resting place of butterflies at the epicenter of the great circle of life. Another miracle." The place is special indeed, only those who have wandered on top of the mountain can experience the unique feelings generated by the beautiful view. Setting your foot into Machu Picchu can be a dreamlike trip back into the past.